Cupcake cravers can get their daily dosis 24/7. How fun is that? 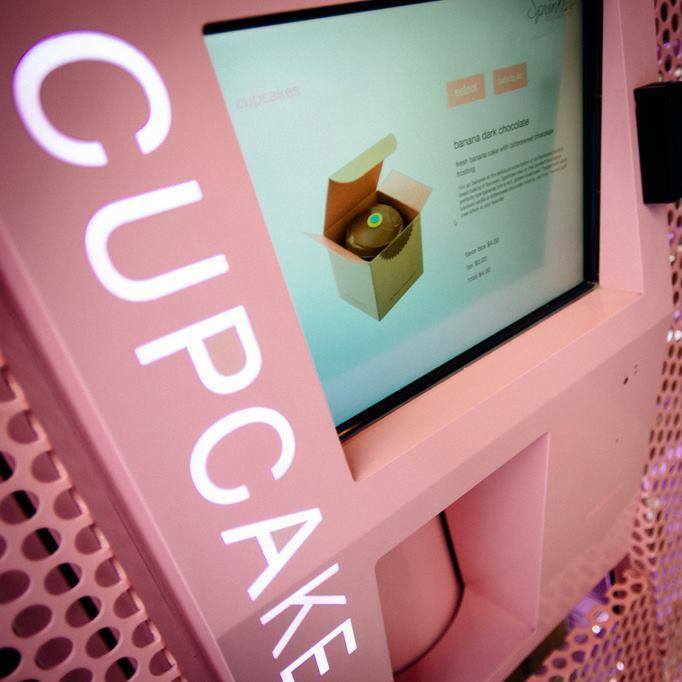 The machine, that works just like a bank ATM, can dispense up to 20 varieties by way of a touch screen: you make your selection, swipe your credit card, and out comes your fresh treat in a cute box. In seconds and for only $ 4,25. Be sure that you don't take out the "doggie-cupcakes" by mistake. They are the $ 5 ones, that come in a pair and have a yoghurt frosting. Specially designed for your dog, so you might not find them very tasty. Over the top? 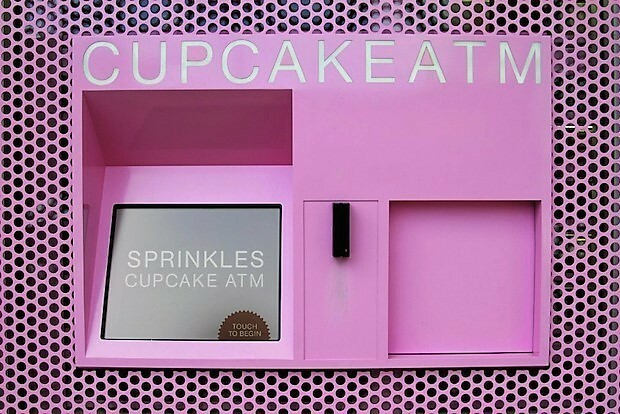 Sprinkles, the company behind the Cupcake ATM’s, already placed their machines in six large cities across the USA. 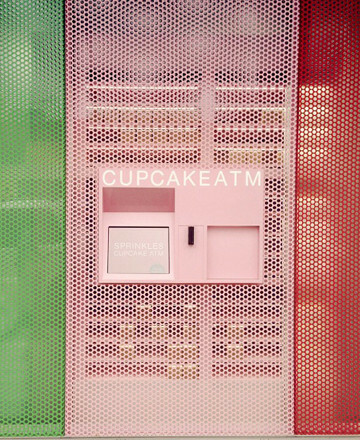 The one in New York is located on 780 Lexington Avenue, between 60th and 61st street. Openinghours? 24/7!